This article is a review of A HARD DAY. Agonising over misdeeds is not something we quickly come to expect from Western District homicide detective Go Geon-soo (Lee Seon-gyoon). Drink-drive manslaughter and cover up in the first 10 minutes. After ours (and his shock), Geon-soo is hilariously never allowed it easy. Not simply permitted to drive away with body of passerby in trunk of car, he has to come upon a D.U.I. checkpoint. Arrogance and hasty jitteriness set alarm bells off among his junior colleagues; only saved by verification of his status, but not before being maced and tasered. Ignominy and a battering become a visual leitmotif. Running over a passerby was caused by distraction. Geon-soo's mother has just died. Not only that, the Internal Affaires Department is breathing down his team's neck for bribery accumulation. Sympathy is not an emotion the audience should be feeling for the lead, yet his chutzpah at corpse disposal raises guffaws as well as MISSION: IMPOSSIBLE-style finesse. At the funeral home, Geon-soo's mother's unburied coffin provides the necessary means of body concealment. Utilising balloons, his young daughter's toy and shoelaces elicits palm sweats, at tension meeting resourcefulness. The only thing worse than being a pedant is being a pedant who is wrong. Is A HARD DAY technically set within 24 hours? Night-time, daytime, night-time, day-time – that’s not a day. So the idea of such a tight time frame is potentially not present, though the sh*tstorm befalling Geon-soo is still more than most could handle. A HARD DAY has the air of randomness. Don't be fooled. Apparent arbitrariness creates unpredictability, the holy grail of thriller cinema. Chaos coalesces. What at first seems just thrown in (the victim's pooch, a test explosion going wrong in front of police brass) has further use. Geon-soo's life of course gets worse, when an omniscient blackmailer starts on his case. Wince-inducing fisticuffs ensue. 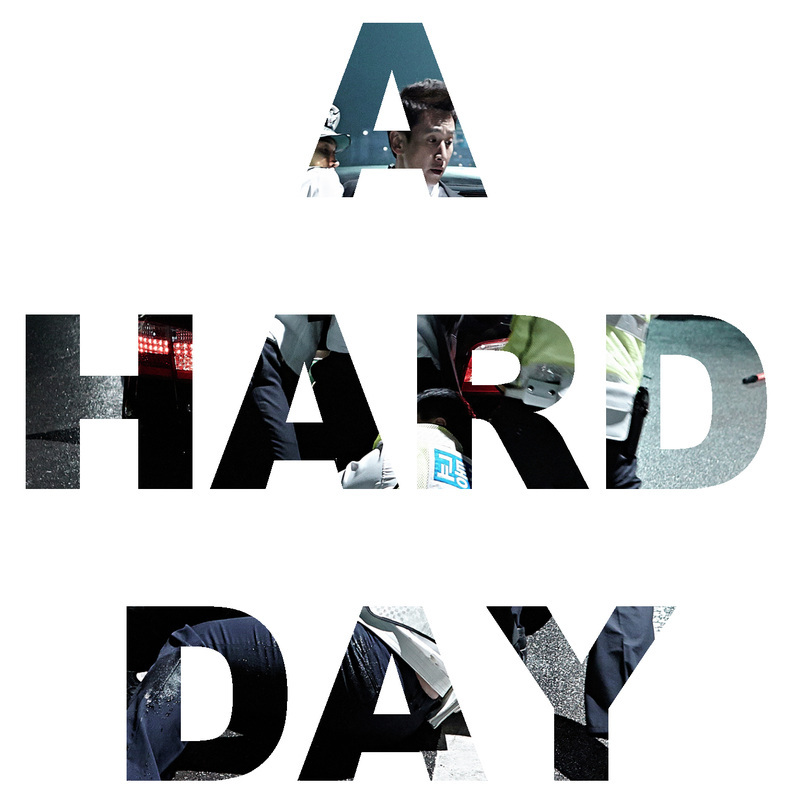 A HARD DAY asks entertainingly: How much punishment can a person take?